This is a fine place to view the Scafell group. They are, from the left, Scafell; the gap of Mickledore; Scafell Pike; Broad Crag; Ill Crag and Great End. 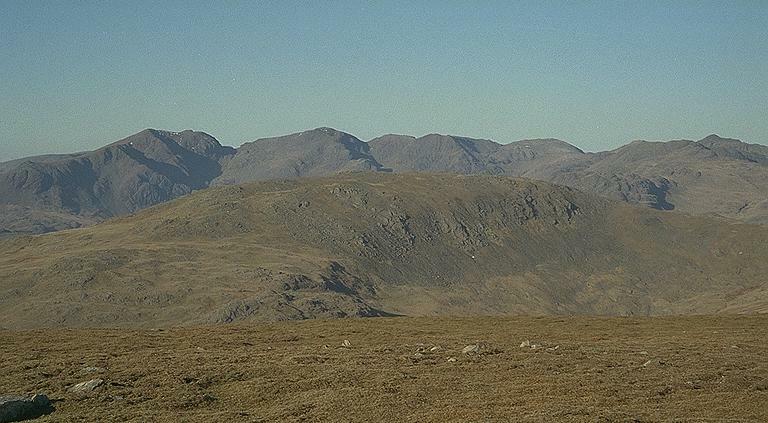 Completing the horizon are Esk Pike and Bowfell, with Crinkle Crags in front. In the foreground is Grey Friar. Smaller version of this picture.